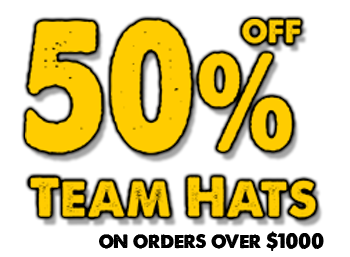 Baseball Season – Team Apparel March Promotion!! Every baseball team needs uniforms, BUT is your team ready with team wear, caps, jackets, sweats, bags, and T-shirts? ORDER YOUR TEAM APPAREL NOW! before March 31, 2016 on orders over $1,000. in Team Apparel and Clothing! We carry an extensive line of product, and have dealer relationships throughout the apparel market. If you don’t see what you are looking for, contact us and we can make recommendations and assist you. 716-646-8141.